Bachelor of Arts (Honours) in Classical Studies (UBC, 2000). Honours Essay: The Erinyes in Archaic and Classical Greek Literature. She is an Associate Editor for the journal Canadian Social Studies and manages The Grim Educator website with resources and lessons for educators. Research interests include: conceptualizations of evil in the context of education, social studies education, curriculum theory, teaching for social change, philosophy in/of education, intersectionality, teacher education, youth studies, popular culture, terror management theory, and posthuman thought. 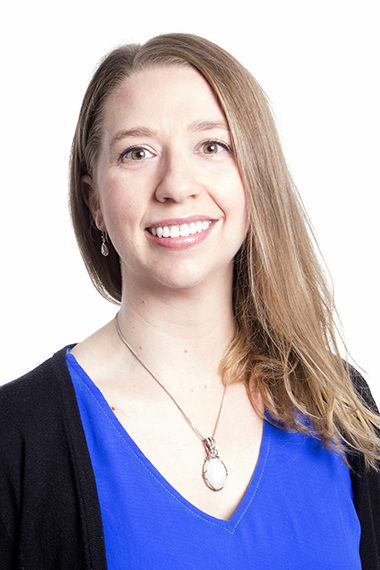 Her current SSHRC Insight Development Grant project focuses on applying research from social psychology that has illuminated unconscious defensive processes that prevent us from tolerating opposing worldviews. This qualitative research project involves pre­service social studies teachers learning and implementing terror management theory (TMT). Through focus groups before and after their practicum placements, as well as reflective journals during their classroom experience and individual interviews in a subsequent year, we are exploring how TMT can be a theoretical basis to foster respectful engagements with opposing worldviews. Cathryn’s SSHRC-supported doctoral research began with a specific concern: teaching about constant recurrences of genocide, and how educators might engage pedagogically with atrocities often (and understandably) labelled as evil. Studying evil is more than just qualification or socialization; it is about subjectification—developing subjects who think and act independently from authority, but at the same time interdependently with others. Social studies education is an opportunity to arrange curriculum and pedagogy for subjectification with a driving question, how might we live together? Her research seeks to encourage teachers, curriculum designers, and researchers to engage with conceptualizations of evil in order to subvert socio-political invocations of evil that shut down thinking/thoughtfulness. How might conceptualizing evil philosophically empower us to change the status quo? Or, how might the ever-widening imaginary of domesticated or empathetic evil present in popular media add complexity to historical discussions? Cathryn is looking for ways to open up possibilities for how we might reconceptualize the past, live in the present, and ponder the future. Cathryn is a member of the Research at the Intersections of Gender (RIG) special interest group at UAlberta. Developing and maintaining a classroom of care is vital. As a social studies educator, difficult pasts and uncomfortable contemporary situations permeate the curriculum, such as large-scale violence like war and genocide as well as systemic oppression like racism and misogyny. To engage with such situations meaningfully, Cathryn strives to create a classroom of care before these lessons begin. This involves care for all students, including those who are traditionally underserved as well as those from dominant groups who are facing the difficult knowledge of their privileges. To aid with this, Cathryn turns to scholars in education, critical theory, philosophy, and social psychology, as well as a variety of media. By educators providing classrooms of care, students have more of an opportunity to contribute to exposing and rupturing systemic bigotry, and building a shared sense of our humanity regardless of “race”/ethnicity, class, sexuality, gender, ability, language, or other sources of divisiveness.